My prayer for my husband is that his manner of speaking to our children will be more positive than negative and he will better understand them. Lord, please restore him and heal him, body, mind and soul. Help him find his words through you. Show him mercy and wrap your arms around him to protect him from all harm. In Jesus’ name Amen. I pray that my husband sees himself as God sees him and submits his life to the Lord. For his heart to be softened and that he becomes whole and honest. Praying for my husband’s thirst for righteousness, spiritual discernment and discipline. My husband and I are at odds over surrogacy. The man in my life will come to have a DEEP understanding and knowledge of God and walk in sincerity and purity before God. That all the works of his hands shall prosper and wherever the sole of his feet touches he shall posses ALL his possessions. Praying for unity and learning to fight fair. To seek the closeness we once shared. Needing God’s guidance in our marriage. Thank you for allowing God to use this to encourage me. I know HE hears me. I am asking for prayer as my husband is facing another possible career move…at the age of 63. Not easy, but I know that if God is for us who can be against us. Praying for my husband a new job. His current jobs is filled with lies and plots of evil. Also praying for his salvation. Thank you for your message today, much needed! Been struggling for 3 years with my husband. Please pray that he is led back to the path of God! Es hermoso. Tener respuesta a lo que creemos que está perdido. Oro por que mi esposo sea un esposo fiel padre amoroso. Enel nombre de Jesús. Amén. After an 8 year roller coaster struggle to keep my 27 year marriage alive I finally gave in to the divorce as my now ex husband was becoming increasingly angry and bitter. I know it was a mistake and still pray for him daily that he might find his way back. I thank God for His strength and guidance which has seen me through a series of losses from deaths of my parents, oldest brother, and numerous aunts and uncles, the loss of our house to foreclosure, and finally my marriage. I know that God has wonderful plans for me and seek additional prayer that I remain courageous and patient. I pray for my sweet boyfriend to find a newer and more fulfilling job as I know so much of a man’s worth is tied to what he does… but most importantly I pray for him to come to know Jesus more and have a deep and lifelong relationship with the Lord. Thanks for sharing. Prayer is powerful and can change things. I pray for marriages to be strong and Godly. No marriage is perfect and with God in it, it can be stronger. In the name of Jesus I pray for Carola’s situation with her husband. I pray that whatever obstacle they are up against, whatever they feel is lost, that you will give them your best Father. I pray that the desires of Carola’s heart is in line with yours and that You will fulfill them in Your perfect time. Help Carola wait with patience and open her eyes to see why your plan and your timing is best. I pray her husband will be the man you desire him to be and that he will be loving, faithful and great husband and father. Break his heart for what breaks Yours. In Jesus’ precious and holy name I pray. Amen. My husband fell over twenty feet from a grain bin. He broke over eight bones in his body. After three weeks in the hospital he is home but cannot bear any weight on his right side. I so appreciate the prayer for his whole body and I will keep praying that prayer for the next four weeks while he heals. I needed this so much today!!! I pray for my husband, but not like I really should. I have your book “Praying for your husband from head to toe” and I used to pray for him out of that daily. I have slacked ALOT and my husband is fighting battles all around him now. My husband is a strong christian, but I feel we both have grown blah in our relationship with God and each other. We both still love each other with all our hearts, but I see less and less of the “little things” that we use to do. I have noticed when I pray (truly pray) and we are both in the word our relationship is stronger than ever! I actually just got off the phone with him crying and letting him know how sorry I was that I have put my prayers for him on a “as a as needed” basis. It felt so good and refreshing! Thank you so much for this today!!! I can already feel the difference in my attitude and the way I feel! Even though I am not yet married, the man in my life and I have gone through so much together. From addiction to self-worth issues on both of our parts. This makes me feel guilty even saying, but I find that I pray for myself and my relationship with God 100 times more than I pray for him and his relationship with God. He needs me in this and I want to pray for him each day and include him in my thoughts. And try to lead by example so that he can maybe let my actions through Christ spark something deep inside of him to want to change for the better. Thank you for this, today it meant a lot. I am praying for my boyfriend. We have been together for 4 years and are planning to get married (I hope). We are going through a tough time. He is going through a depression I believe and is experiencing emotional disconnect. He is really distant and feels cold. All he is interested in is working, his whole family notices this as well. I am praying for God to take hold of Ferd’s heart and mind. I’m praying for complete healing. I’m also praying that any lies he is believing would be destroyed and that Satan would be bound and all attacks on Ferds mind and heart would fail. I am praying for God to move in his heart and take control. I believe that God will do this, I’m praying for this. I know we are not married but I believe God will still come through. Please pray with me. This was such a blessed devotion. My husband and I had been having many disagreements in the early part of 2018. I know it was the prayers I prayed for God to change me and my outlook on my marriage. I knew I had become bitter and was not being the wife my husband desired. I looked at it as why should I be the one who keeps sacrificing when I am not getting what I desired. I then started to pray and minister to a co-worker that was having similar issues. During this process God showed me myself and I was disappointed in what I saw. God has strengthened my marriage and I am so grateful. My prayer request for my husband and that God will grant him his heart desires concerning his business. I pray that God can give him a day shift position until his business is able to provide for us. Praying for my pre-believing husband’s salvation!! This is a fabulous message today. My husband is a believer but does not have a strong faith. I am praying that his recent diagnosis with cancer will lead him to a strong faith. We have had a very difficult marriage because of choices my husband made. He has admitted those things now and is beginning to really grow. I am encouraged but also hesitant. I struggle with trust. God told me a long time ago that He was going to do something special, it would be a process and not “fast.” Thanks for the reminder that I need to remain steadfast in prayer! My husband and I have been separated for 4 years and almost everyone has encouraged me to file for divorce on both grounds of adultery and malicious desertion. God has been speaking a consistent message. One of restoration I have numerously humiliated and mocked. He now publicly goes with the girlfriend and makes sure this is at its peak when my daughter is visiting him. The funny part is that the more I ‘see ‘ evidence that support the dissolution of the marriage the more I’m hearing God clearer. I’m humbled beyond comprehension at how God would trust me with something that has potential my make my heart die and yet from it I have found Love. A father’s love that is intricately woven with every promise in His Word. My daughter has grown in her dependency on God too! In 2019 I resolved to give God praise for the the restoration that He has prophesied. I pray for my husband to return back to God. That’s the compass to his North. I have decided to take advise of another women of God I have never met. ‘I am going to act like God is telling the truth!’ I will come back to this community to share testimonies of this miracle working God. All prodigal are coming home in the name of Jesus Christ. Thank you for sharing, such perfect timing to take me to the next level. What a great reminder that we as wives have the opportunity and even responsibility to support and lift up our spouse. My marriage went through a short separation where I prayed for our marriage and for my husband. We are now more happily married than ever in the 9 previous years. 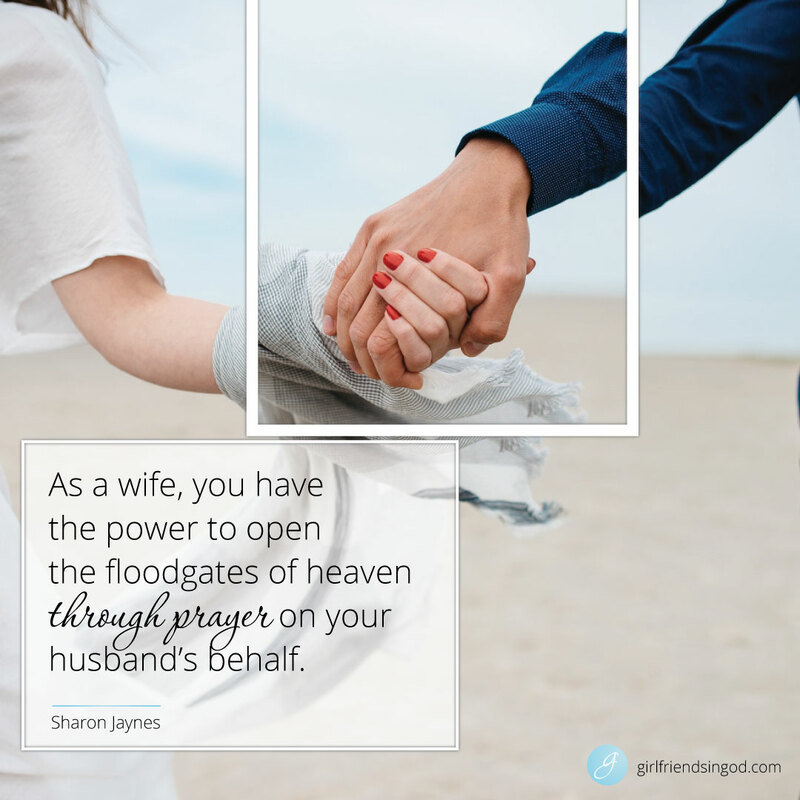 I believe in the power of prayer, and watched it help my marriage. Thank you for this. busines. I pray that he will learn not to take on too many roles & that no is a complete sentence. Also, for Godly male relationships with men he can trust & with whom he can build lasting & meaningful friendships. Thanks & God bless you all!!! Wow, I needed this today. I pray for my husband, but not like I should. He isn’t saved. I have prayed for him for years, but it seems nothing has changed. I realize it is in God’s time and not mine and I get tired as I am sure there are others that feel the same. I know I am not suppose to be jealous of others, but its hard to go to church and see others worshipping with their spouses, I would love to share that with my husband. Thank you for reminding me to pray for my husband and the outline. We will be celebrating 39 years of marriage this year. I look forward to celebrating/worshipping with my husband one day soon. Asking God to heal my husband from his addictions. Please dear Lord give me the strength I need to manage all. And, show me the way. This post brought tears to my eyes! I have been praying for my husband’s heart but am excited to lift ALL of him up to the one who shapes and molds us. Please pray for the agnostics in our family. I am eagerly expectant to see what God does! The man I have been dating for almost a year loves BIG. He has a kind heart, he helps others, he’s funny and it is a delight to love him. When he was thirteen his mother died from a brain tumor. He has been angry with God since – really angry. I have to presume him a believer as you can not be angry with someone you do not believe exists. He knows I am a believer. We don’t talk about God often. I simply try to show him the gentle spirit of Christ, love him and let God work. Please pray his eyes open to see that his anger has been misplaced and how very much God’s heart broke for him when he lost his mother. Pray he will learn to trust God loves him. I pray that my husband would desire to spend more time with God so that he will become the spiritual leader of our household that God created him to be. 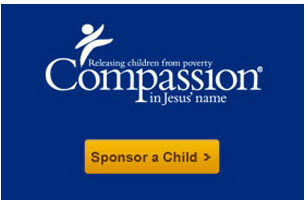 Help me to support him and continue to respond and serve in love. We have been married for 27 years and it hasn’t always been easy but like other wives, when I am fervent in prayer for my marriage and my husband, things are always better! My husband and I are in a terrible spot right now He is not the communicative type so it’s very hard for me to understand and I just can’t mindread anymore. My drive is pretty much gone. Please help him be more vocal and now me more understanding. Thank you..
Ladies, I needed this so much today. My husband has been battling depression for some time now, and in the past few months it has become the worst it’s ever been and has really tested our marriage. However, through my prayers for both my husband and our marriage, I have found a newfound strength that I didn’t know I possessed. It has also strengthened my faith in God. I pray for healing from the depression that has taken up residence in my husband; I pray for healing for our marriage and our family; I pray for continued patience and strength; and I pray that my husband learns to lay his struggles at God’s feet and trust that He WILL take them on for him. The links for the book are not working. Praying that my husband will continue to be a man of God and leading our family towards him so that our sons can have hearts that are totally devoted to God. Praying that he will continue to be a wonderful husband and friend to me and as an example of what kind of man our daughter would want to marry. I need prayers for my husband. Prayers for his heart to soften, for him to turn to God. He is becoming more like his father and this scares me… I’m begging God for strength and guidance. He is a wonderful father, but the person he’s becoming is not the man I married. I have been married for a couple of years, my husband was in prison for a while and was released in 2016. He came out to the city where I was living and wanted to make it work. I found out he had been cheating on me and I started cheating as well. He would always tell me he didn’t believe in Christ, it was battle. I am changing my life around and want so much for my marriage to be out back together. I want the lord to soften his heart open his ears to what Jesus is trying to say. I would love for you all to please keep him in your prayers. Thank you for this. My husband and I have been separated for 9 months now and honestly I gave up praying and doing certain things for him because I never hear from him or see him. So I looked at it as he’s moved on so I’m moving on too. I still care about him though, I want to talk to him sometimes just to kee he’s ok and feeling ok. It’s hard, but no matter the outcome I’m gonna continue to pray for him and I wish him the best and pray he’s very happy! The timing of this devo was so perfect. Please pray for his workplace and for his perspective. This is the first time I’ve been compelled to post a comment or my worries. This devotion brought me to a crying heap. My prayers, my desperation, the anguish I give to God is for my son who while not involved in any of the treachery of drugs or alcohol or deviance or illegality but the worse sins of pride and arrogance. I know I’m not telling it well but that ego makes bad decisions which dig a hole that just gets deeper. He can’t see his faults his actions his bad decisions are the shovel. I pray, I beg that he hear the voice of God whom he knows,that he follows the path of God’s will,that he looks beyond what he thinks he wants at this moment and at who he wants to be in the totality of his life. I don’t know how to turn my worries for him to God. I still worry, then worry that I’m lacking faith because I do. My prayer for my husband is in regards to his health. He recently started having 3 major health problems. I would like to request prayer for his health to continue to improve and that he allow God to calm his heart and mind. Thank you! Thanks for this post. The happy ending you describe seems out of reach for me – your dad becoming the sweetest man you ever knew. I wonder if this will ever be my story. Thus far, from age 18 to 50 has been one of permanent pain. I look for fruit in my christian husband and struggle to see any, only anger and blame. I mostly feel fear and sadness. Not a good witness to those I’m trying to minister to! If I’m honest I would be hard pushed to pray for the things you describe. I used to, in the old days when I was full of optimism for what God would do. Hope deferred has made my heart sick. I’m resigned to being a lonely middle aged woman, fearful of old age because he promised once that he wouldn’t look after me when I get old. Sometimes he does nice small things, then is incredibly unkind and hurtful to me and our grown up children. The domestic abuse lady said I had PTSD. I continue to lean on avid for strength. I have no other security. Thank you for sharing this. I needed this reminder today. My husband is running from God. He’s living in the world and is lukewarm at best. I’ve been praying hard for him to turn back to God but I have not been praying so much for him head to toe. I love him dearly but am struggling with his daily choices to continue on the same path. I don’t want to be an enabler. What an awesome reading. My sister in law sent this to me and knew exactly what I needed. My husband and I got married late in life. We are now 68 and this July we will have been married 8 yrs. i married for better or worse and for life. He is a retired contractor, and I am a retired teacher of 44 yrs, but substitute from time to time. I love teaching!!!! As the years have gone by,my husband has become very hard to talk to, our conversations have become less, and things that I feel I have accomplished for us is met with negative comments and “ you should have done this instead”. He is not the conversationalist he used to be, even with my family who he loves, and due to family issues buried so deep within, a former wife’ s ugly disposition and cheating ways, loss of his daughter due to that wife and mother, he has not been able to come to terms with any of it. I have done my best to grab all that “ stuff” within and bring it forward….but to no avail. Jesus is my Lord and Savior and I go to Him for everything. Your ways to pray for your husband is exactly what I needed. With that being said….I am not perfect. I get upset, frustrated and angry when he closes up and chooses to not talk…or tell me” I’m ok…nothing is wrong”. He loves God, but I feel it’s at a distance. I was at that place too until I found a friend who pulled me out of the stagmyre. I thank God for her everyday. I will begin my prayers for my husband, and I know it may take some time, but I know God is powerful and sees all!!!! I pray God will work on his heart and give him the strength to get thru the ugliness and bring him into God’s light!!!!!! I have prayed for years for God to speak to my husband remind him nothing is impossible with God I know he is and my husband hears Him he just won’t give everything to God his pride and anger toward me are hindering him listening to God and just what He can do with our lives for His glory! Please pray for my boyfriend that he will be able to start his own business and for God to touch his brothers heart and let him see how much my boyfriend does for him. My prayer for my husband is that God would soften his heart to accept Jesus as his lord and savior. Please help my husband to become closer to God and in turn closer in our relationship. prayers for my hubby that he comes to know and experience God more in his life/heart. at some points I do see God working in him but other times its yikes. also prayers for myself have like 3-4 unspoken prayers. I pray for my husband’s health and that he comes to a closer relationship with God. My husband and I married young. I was 20 he was 23. We are coming up on our 10 year anniversary and I am not sure if we will make it. I’m considering divorce because he is not an honest man and he makes poor decisions. I have my faults too, I don’t give my all because I’m afraid it’ll always lead to disappointment. I don’t pray for him as much as I used to or as much as I should. No matter if we stay together or not, I do want to intercede for him and his growth. Keep us both in your prayers so that I can pray like I should for him and for him to truly accept GOD and live in a way that is pleasing in GOD’s eyes. My prayer is for my dear friend I have met since I came to college. He is a great guy and is a Christian, but lately he has been spending less time with me and more time with some friends who are negative influences on him. He has been drinking a lot and partying heavily, and I am afraid this is going to lead him down a very bad path. He already has health issues so the alcohol is definitely not good for that. I care deeply about him and I pray that God will show him a way out of this addiction he is developing and make him the great man I know he truly is. Please pray for my husband as he is struggling to grow in the Lord. He is a believer but has been a lukewarm believer.He has many bad habits and lacks self control. His heart is willing but his body is weak. Please pray for him and for our marriage since it’s been only two months that we are married and have had many dissatisfaction and heart breaks during the course but we are also learning our differences and trying to support and appreciate each other. Please pray that we may be able to grow in the Lord and build a solid foundation of family in him. This is good stuff…sometimes I get so frustrated with my husband. Often, he is the last person I pray for, if I even pray for him at all. I have seen prayer change so many things in my life. This is a great reminder for me to cut out a lot of my empty happiness fillers (internet, shopping, reading) and to just simply pray for him more. I pray for my marriage that God will show my husband his self centeredness and to help him draw closer to God. I pray for joy to be put back into our marriage and we have gone through some tough times last year and we ask for God’s direction and wisdom as to see how we can have a better life together. We’ve lost our way. I am single but as I read through your prayers points, I thought: What beautiful prayers to pray for my older and younger brothers. They have been, overall, good men but at times they are a source of frustration and conflict. I spend more time complaining about my issues with them than praying for these men in my life. Thanks for this revelation. I pray that my husband will see his worth in Christ! That he will know that just because his disability will not allow him to work, he is still valuable to God, to me, and as the leader of our family! I am embarrassed to say that I don’t pray for my husband on a daily basis. This is such a wonderful reminder. I pray that God grant him peace and contentment in his work with the same finanacial reward that he has been receiving. And, that he be led to my faith and to join my church. I also pray for our son-n-law that he find employment that is fulfilling for him and will give them a better family life. And, that he and his family attend Mass regularly. My husband of almost 40 years left me for a younger woman. He has still not remarried so I continue to pray that God would restore what the locusts have eaten. He was a leader in our church and satan took him out of commission. I know this is not the man he truly is so I covet your prayers for his repentance and restoration of our marriage and family. This devotion has encouraged me to keep praying and believing that God will move in my families lives. I have been praying for my husband (& adult children) for years. Things haven’t changed, and at times, seem worse. I want so desperately for my children to see their dad give his heart to God. So that they might fully commit their lives to Him. This is a very difficult time in my life and I’m trying to not get discouraged. At times I just feel like giving up, but I know in my heart that God is there. I greatly appreciate you sharing this story. It has reminded me that God hears my prayers. I will continue to pray that, some day, I will see all of my family surrender their hearts to God. A friend of mine shared with me this devotional, and it hit home for me. 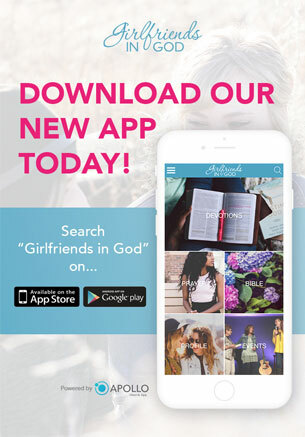 God bless you, for you have opened so many hearts, eyes, and ears with this devotional. I am not yet married, but please include my man in your prayers. I have been praying for him to seek God above all things and to build a relationship with Jesus. I believe also that prayers change everything. As hopeless as my case seems, God still has the final say, and through prayers, God can and will turn this around for the Glory of God. Thank you for your prayers in advance. God Bless all. Iv been seperated from my husband for 7 years not sure if. I want to be back with him. I pray for him to turn back to God. I trust God for his plans his will for me. I am praying for marriages that God will heal hearts and fill them with his perfect love. My hubby has been self-employed for 15 yrs and we have thrown everything we have in this business. The business is successful because of the dear LORD, but it hasn’t been easy and it is stressful. I pray for a great business partner and financial freedom. Thank you!!! My husband has changed. He has been through a lot over the years. The past 2 years he’s fought with his ex over child support and visitation since he finally got closer to his kids. It didnt work out in his favor. We haven’t gotten along since I came back to the marriage Jan. 2017. Now he’s very different. Worse. He is cold, mean, rude, and doesn’t care how I feel. Tells me if I don’t like it then leave. He wouldn’t care if I left this marriage. I know he’s pushing down his pain and lashing out at me. The devil is in there and I don’t know what to do. I pray every day only for him to get worse. I don’t know what to do. It’s been 2 years of screaming, yelling, and finger pointing. I can’t talk to him. All he does is get furious and tell me what I do wrong and tell me to just leave. I feel beat down, scared and unloved. I told him he needs God. He says he prays. I told him that’s not enough. That he needs to fully give himself to Him. He hasn’t and the devil has an amazing hold. I’m scared not only for myself but for my husband. I pray God can find him before I leave and he just hurts someone else. God, I need you to help my husband. Please! I pray that my husband sees himself as God sees him and submits his life to the Lord. For his heart (healing) to be softened, thirst for righteousness, spiritual discernment and discipline. Put true/real men of God in his life he can open up to. Our marriage relationship (communication/intimacy) and church family; work in ministry. I come in agreement with Karen’s prayerfor a great business partner and financial freedom for her husband, In Jesus Name! It’s amazing how God hears our deepest thoughts! This devotion was exactly what my prayers were today. It’s easy to feel I’m alone in my marriage problems because my goodness on Facebook and in conversations everyone’s marriage seems perfect. It always makes me doubt where did I go wrong, did I not wait on God and pick the right mate. Then reading your replies makes me know these are lies the devil whispers to me! My prayers for my husband are that he will be filled with joy that only God can provide to heal his past hurts and that the chains of addiction from alcohol will be crushed. It is easy to get defeated when our prayers seem to go unanswered. Jeannie’s comments spoke to my heart. Let me endure the race that is set before me. Thank you for these devotions and your prayers! My prayer is that my husband will find a job that provides for our family. He’s been out of work 7 months and it has been tough on him. I also pray deliverance from addictions. That he would be the man, husband and father that God created Him to be. My prayer for the last several years is for God to deliver my family from Alcohol abuse…all the men in my life ..my husband, son and father..
Pray my husband and I reach an agreement and decision. That he keeps his promises to me and that I do as well. That we get on the same page and unify our life together. My husband and I have been separated for almost a year. During this year he has formed a bond with a woman, I think he lives with her but he has denied it. Although he says he loves me, believes we will be back together, he hasn’t filed for a divorce and says he no longer knows if he wants the divorce. I continue to fast and pray daily for myself, my husband and our marriage. He says he isn’t ready to come back to me. My human mind, body and soul is tired but the enemy wants me to get tired and give up so that his mission in my marriage is accomplished. I can’t be discouraged or defeated but GOD I’m getting tired. Strengthen me!!! All I ask for is for the same man i fell inlove with 15 years ago. God you know how my heart feels like. I believe in your power, Amen!